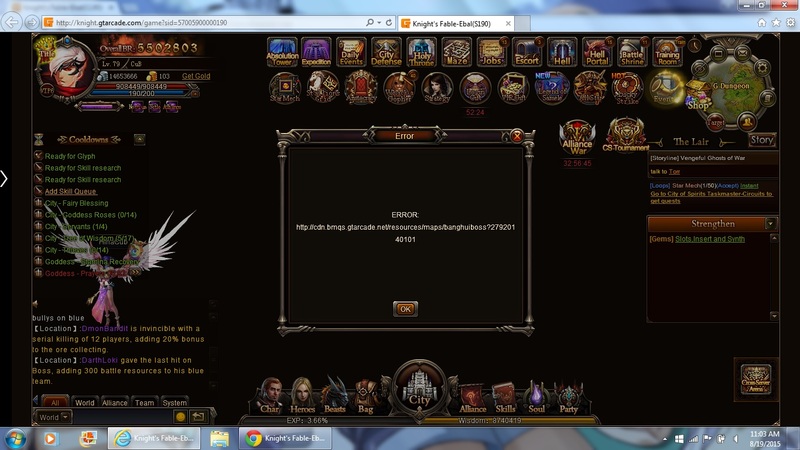 North America Forum»Forum ›Knights Fable ›Bugs › ? If your internet network is experiencing connection hiccups, it will result to that error. Please follow the steps below to see if it\'s really your internet connection or not. 1.) Go to Windows start then press RUN. 2.) Type cmd then press Enter. 3.) Type inside the cmd window ping 8.8.8.8 -t without the . Press Enter. 4.) It will ping the 8.8.8.8 IP address to show that you have connection outside. 5.) Go to your game and start playing. Once you experience that error, go to the cmd window and check if you see any Request Time-out Errors. 6.) Post here the screenshot of the cmd window. 2019-4-23 18:47 GMT+8 , Processed in 0.052398 second(s), 40 queries .